LONDON (AP) — The original version of a map that entranced generations of children is up for auction at Sotheby’s. 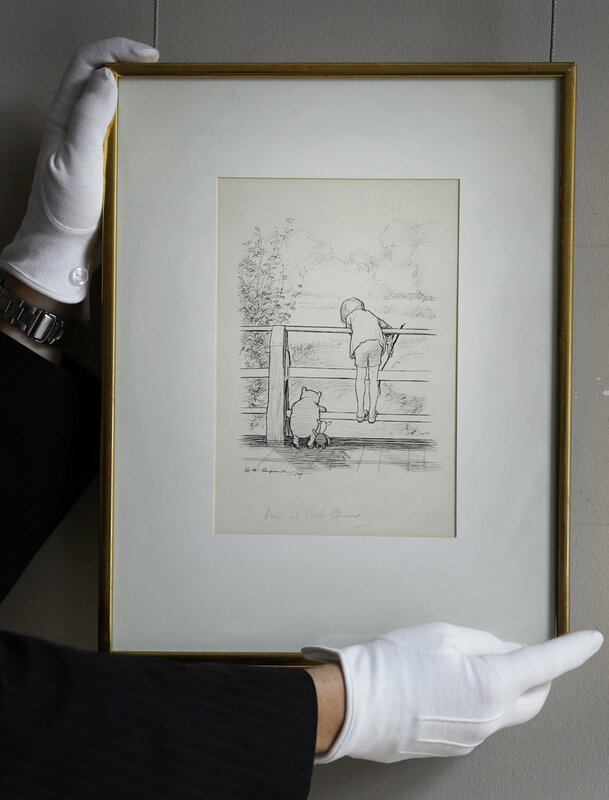 The auctioneer said Thursday that E.H. Shepard’s map of the Hundred Acre Wood, home to Winnie-the Pooh, could fetch 150,000 pounds ($200,000) when it is sold in July. Shepard’s illustrations helped cement the popularity of A.A. Milne’s “bear of very little brain” and his woodland friends. In 2014, an ink drawing of the characters playing the game poohsticks sold for 314,500 pounds, a record for a book illustration. The map and four other Shepard Winnie-the-Pooh illustrations will be sold July 10 at Sotheby’s London.